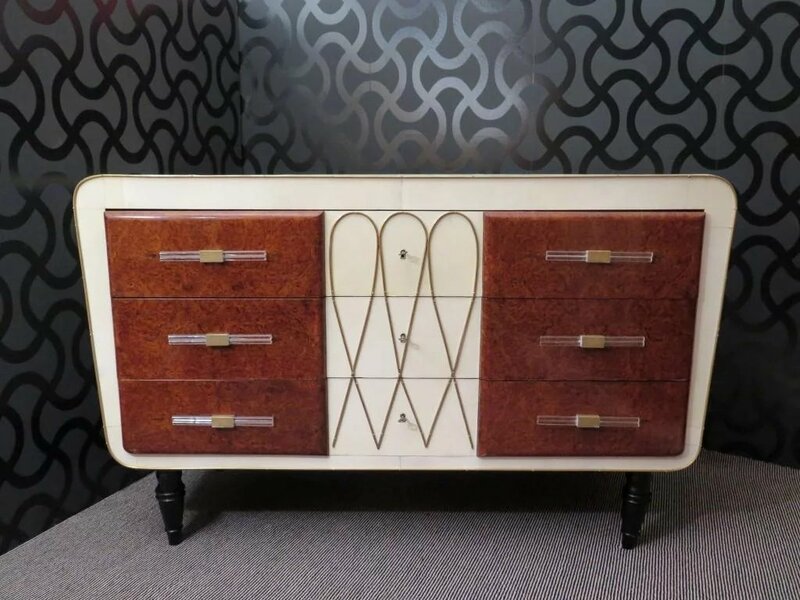 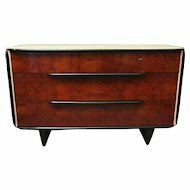 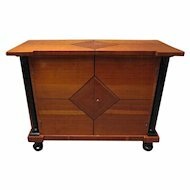 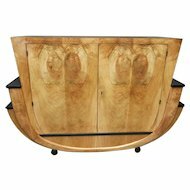 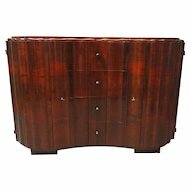 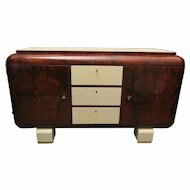 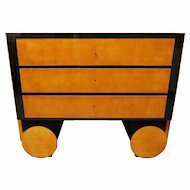 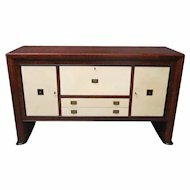 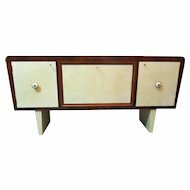 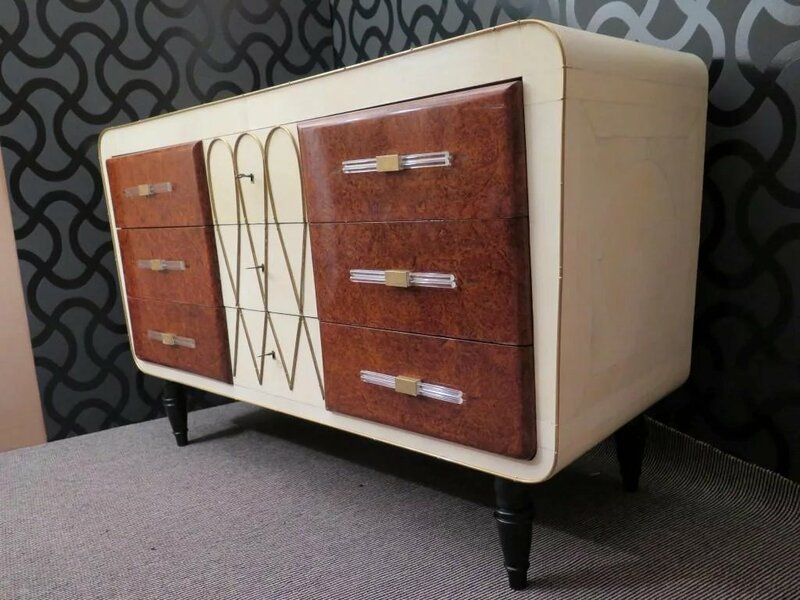 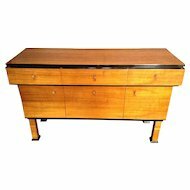 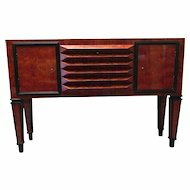 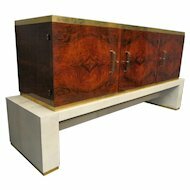 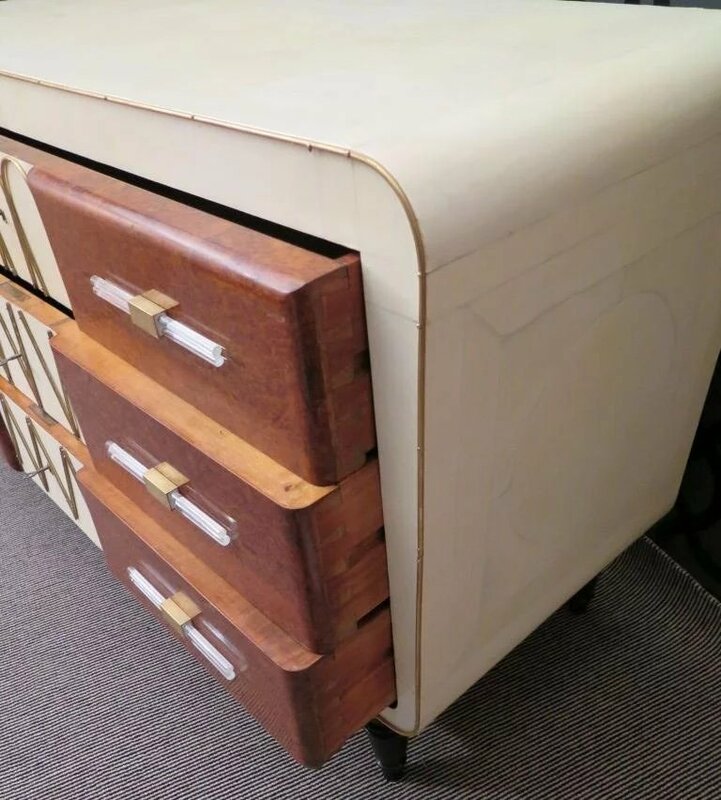 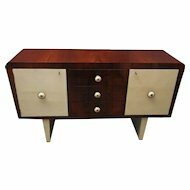 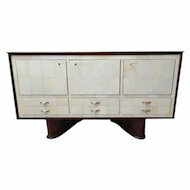 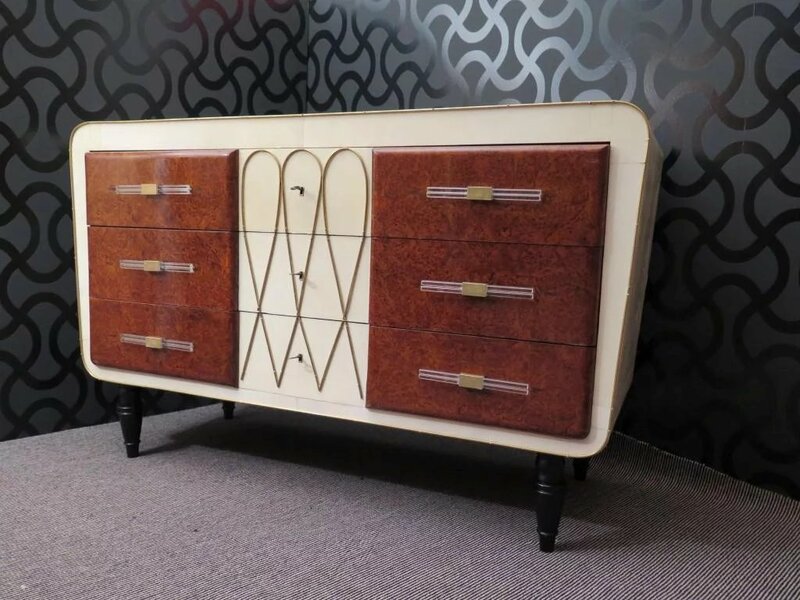 Distinctive Art Deco Dresser / Chest of Drawers; six drawers in burl maple veneer and three covered in parchment. 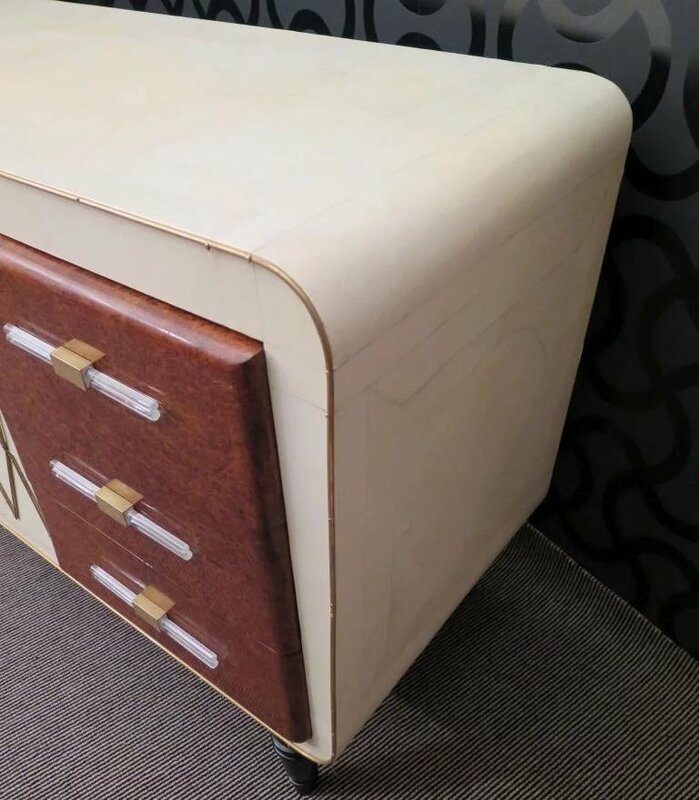 The top and sides also covered in parchment. 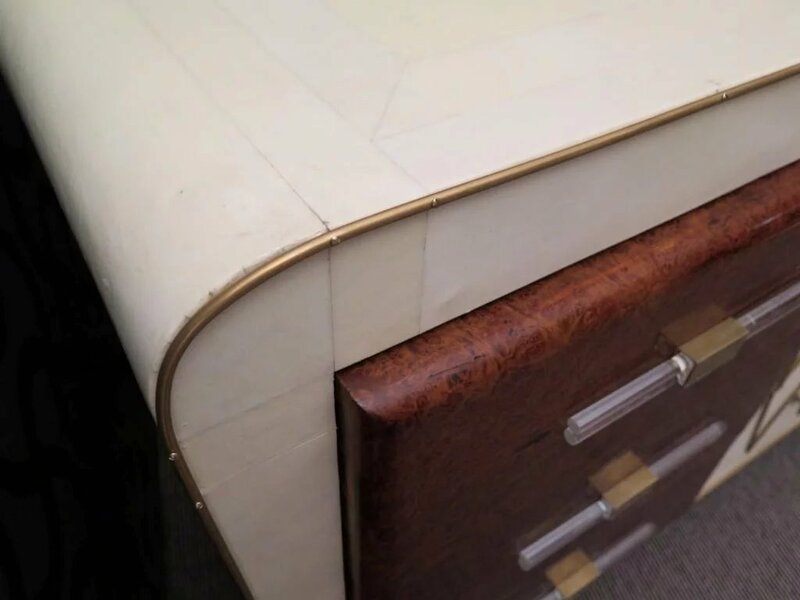 Brass banding and detailing. 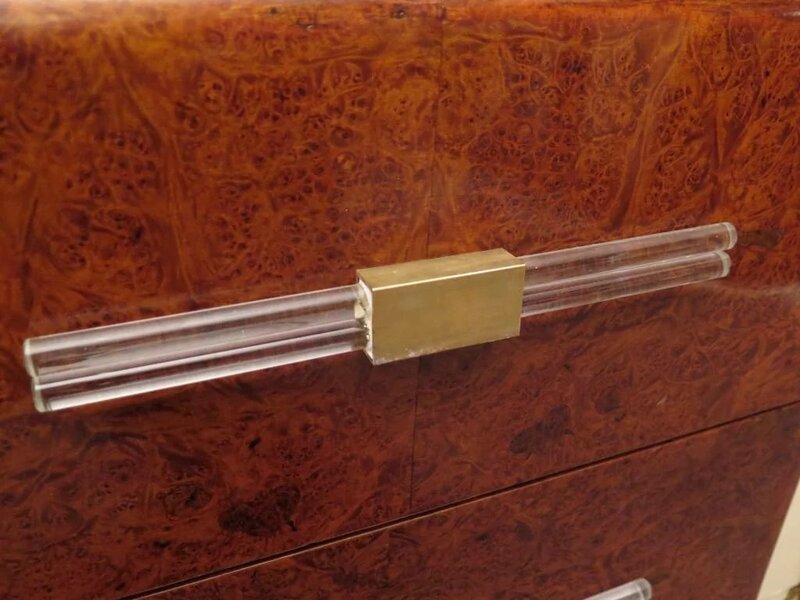 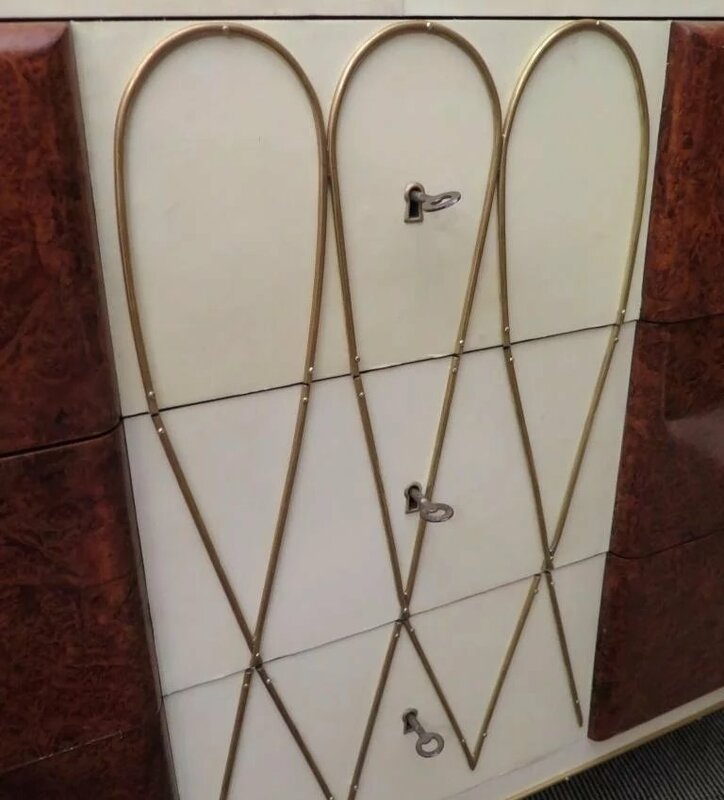 Handles in brass and glass. 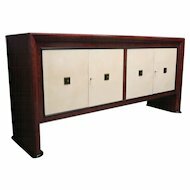 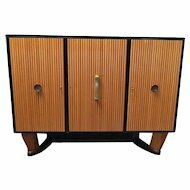 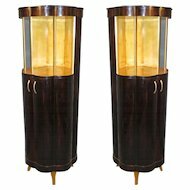 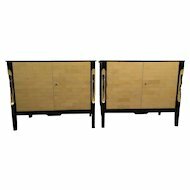 The cabinet raised on tapered ebonized supports.